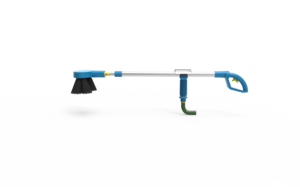 We worked with inventor Anthony Oliver to design and develop his vehicle scrubbing tool. 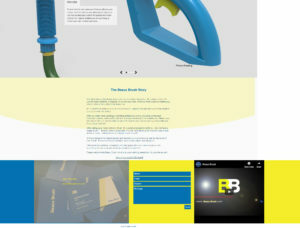 Along with product design, we also created his brand and website. 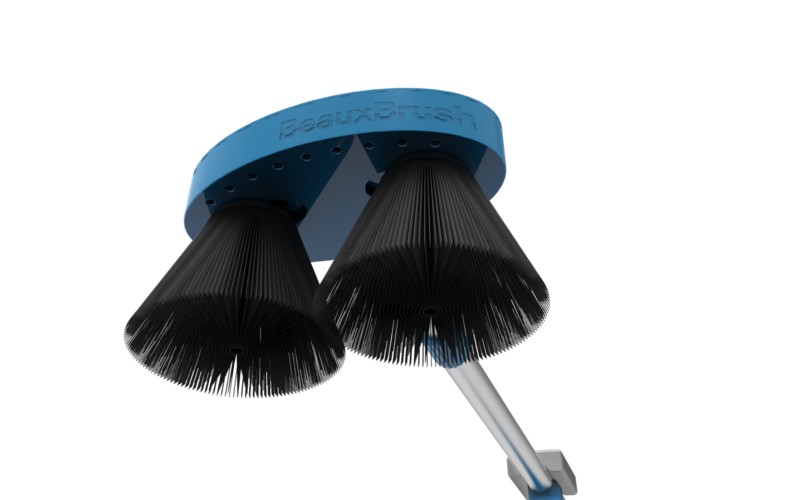 Anthony Oliver had the idea to create a better solution to scrubbing vehicles than hand brushes and need help with his product design. He wanted his solution to work for not just the average person, but commercial applications as well. 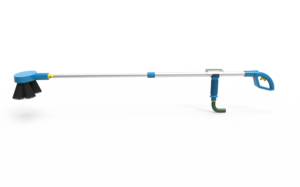 As a result, we had to design a product powerful enough for commercial use and easy for anyone to use. After finding us, we were able to us our skills in product design and branding to turn his idea into a real product. We worked closely with Anthony making frequent changes based on prototype and his feedback. Because of this we were able to work through many different solutions to the design. 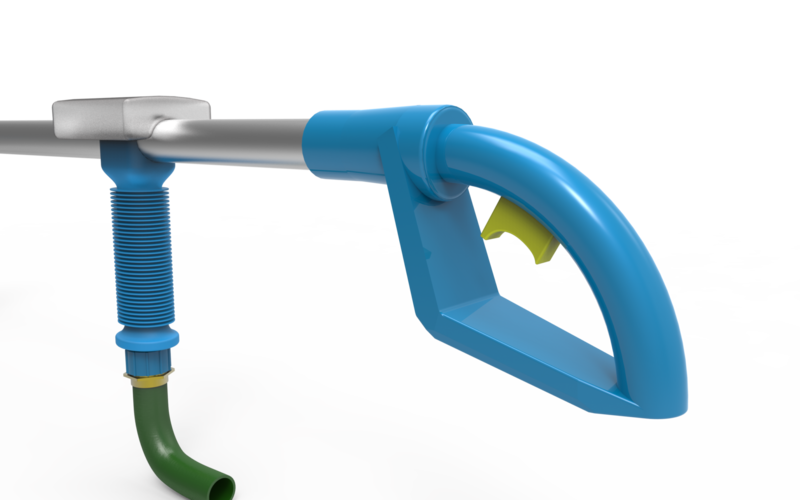 The brush head with its swivel was a challenge, and as a result took a large portion of the design time. 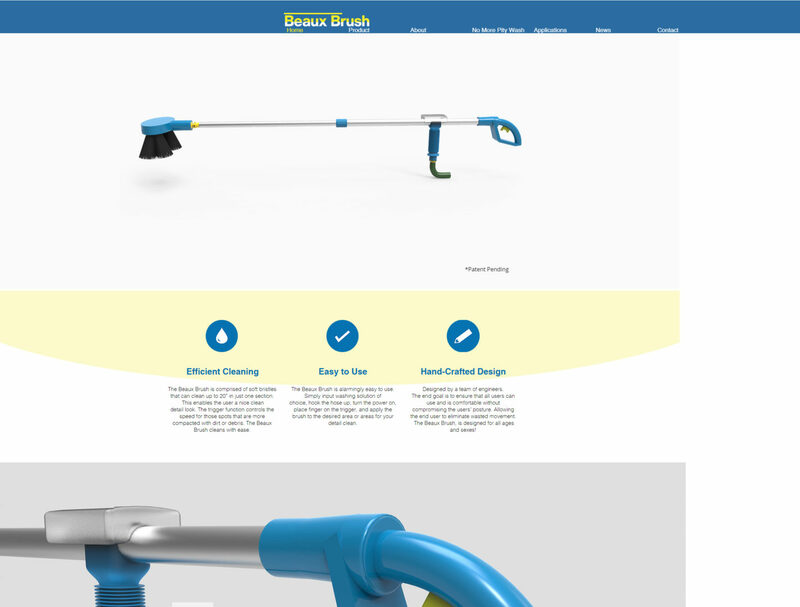 As a result of this process, we designed a powerful hand-held scrubbing product. Creating a product for both consumers and professionals provided a welcome challenge for us. It had to be easy to use, but able to handle the heavy wear and tear that would happen when put into professional and constant use. Because of this, we looked at other tools designed for easy use in the home and professionally for inspiration. 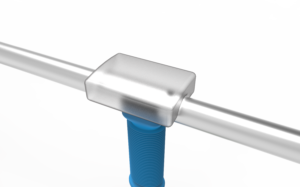 We looked at how the tool would be held and what would be easiest for the user. As a result, adjustment and comfort were two of the primary goals for the product. Not only did it have to adjust for different people, it also needed to work on many different vehicles. While wrapping up the product design process, we turned to the branding side of things. Because of our close knowledge of the product, we were able to best help Anthony create the brand that told his story. We created a logo, website, renders for marketing, business cards, and other marketing collateral. 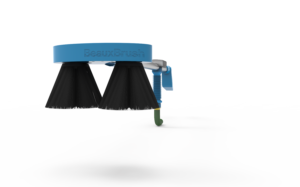 As a result, Beaux Brush was able to make a public semi-release to gain more interest in the project during the product design portion. This allowed us to keep working with the final prototypes while he was able to start marketing the product and getting people’s feedback, a very helpful process. As he goes through the process of marketing and making additional tweaks, we continue to support his endeavors.